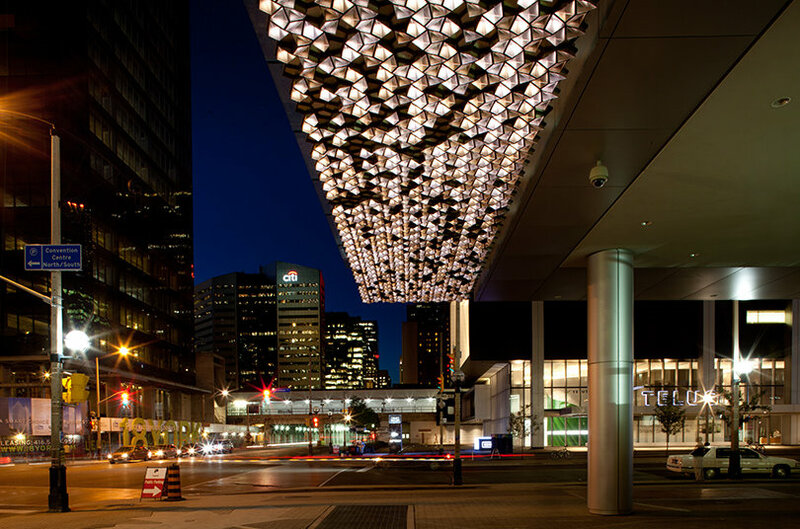 Canopy is a 90-meter long light sculpture spanning across the Maple Leaf Square building in Toronto, Canada. Designed by London-based United Visual Artists, it is inspired by the geometry of cells within a leaf. A soul-soothing art instillation in the heart of a city...we could watch the video below over and over again. Canopy from United Visual Artists on Vimeo.